As quoted by Helen Keller, "Alone we can do so little; together we can do so much." Help us convert Every Drop into A Crop. AgriChange is a two year old company that is pioneering in developing feasible sustainable agricultural technologies and implementing them on commercial scales. We are currently working on Hydroponics (soilless) techniques and one of them is Deep Water Culture (DWC). DWC is a hydroponic technique of growing plants directly in nutrient rich water. The approach we have chosen to commercialize DWC is to engage in R&D until the system is technically and financially proven and then convert it into a business opportunity instead of blindly buying the technology from abroad. We have set up an R&D facility in 15,000sft at Palakkad, Kerala. 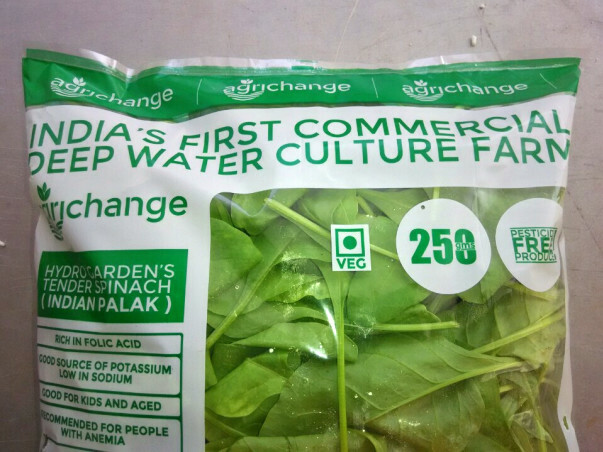 We are growing Spinach (Palak) in DWC. 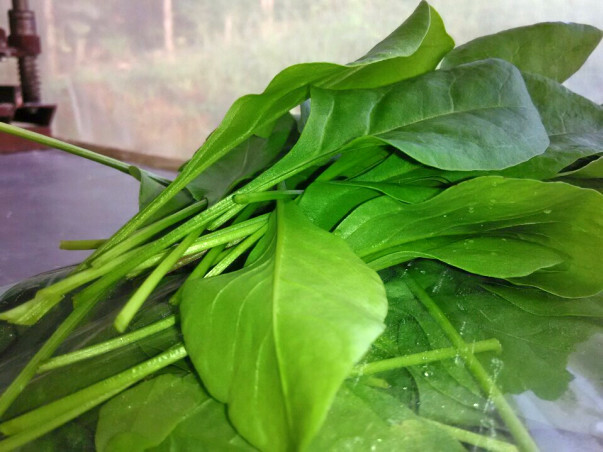 We pick the best quality leaves, package it and sell it under the brand name Hydro Garden's. - Saves 90% of water compared to traditional agriculture. You can grow in 10 acres of DWC system using just one acre of water used in traditional farming. - Scientific and precise nutrition control, hence less fertilizers used. -Greater degree of consistency and predictability can be achieved. Please follow the following link to know more about us. 1. Purchase or setting up of equipments and materials. 2. Input costs of consumables like seeds, substrates, fertilizers, etc. A: We are a group of people who share a common passion of promoting sustainable technologies. AgriChange was recognized and one of India's top 25 Student Start up of India by TATA and National Entrepreneurship Network (NEN) in Feb, 2014. 2. What have we achieved in the R&D so far? a. Production process design, implementation and fine tuning. d. Achieved consistency in the system. g. Designed, implemented and streamlined hygiene protocol. 3. How far are we from proving DWC's financial feasibility? This project is one year old and since then our focus is just on validating the technology. Today, we have come quite far and have validated 70% of the project viability. 4. How commercializing DWC will create an impact? A: a. About 54% of India is under severe water stress. No Water. No Food. No life. 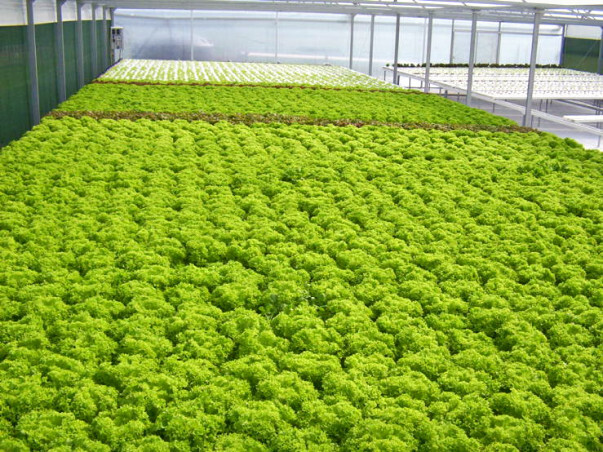 Hydroponics fits right as a solution for food production with less water. b. As urbanization is increasing, the cities are converting agricultural land intro real estate plots. The agricultural land are being shifted out of the city constantly and hence increasing food miles. Hydroponics can be the right fit as we can produce large quantities in smaller holdings and thus can be practiced even in urbanized centers. c. Employment opportunities in rural areas. 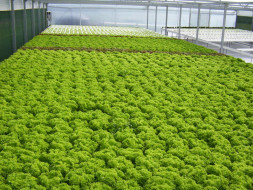 h. Hydroponic produce are generally more nutritious than conventionally grown or organically grown produce. i. Clean, green and safe food production technology without harming the environment. Hi. I can not contribute more than the minimum amount but I hope it gets used wisely.